Here is Glenn talking about his experience buying a Nissan Skyline GTR. Glenn originally comes from Brooklyn, but is currently living in Clarksville, Tennessee working as an avionics mechanic for the US Army. Owning an S2000, Glenn said he wanted a fun performance car that was a bit more practical, but also had a ton of street cred! He picked a Skyline GT-R out, and arranged to have the car shipped up to him. He was stoked when he got the call from the driver and saw his new car pull up on the truck! Glenn mentioned he has a group of friends that also own Skylines, so he has good backup and advice for any mods or work he wants to do! Glenn also walks through the process of shipping, and setting up insurance. 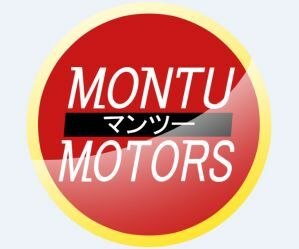 He said everything was easier than expected, from the paperwork with Montu Motors to the shipping and registration. He couldn’t be happier with driving it! Not to mention all the good looks he gets from other enthusiasts, or confused looks from curious motorists. Glenn, like any other car enthusiast, decided to upgrade his car to really give it an edge! So far he has swapped the muffler with a Tomei ExpremeTi, and performed a cat delete. He said the end result not only gave the car a nice growl, but also improved the power and throttle response. His future plans include installing a Y-pipe, and a nice set of Work wheels he recently picked up. Glenn said he used to dream and chat with his buddies about which cars they would import, now Glenn’s living the dream!